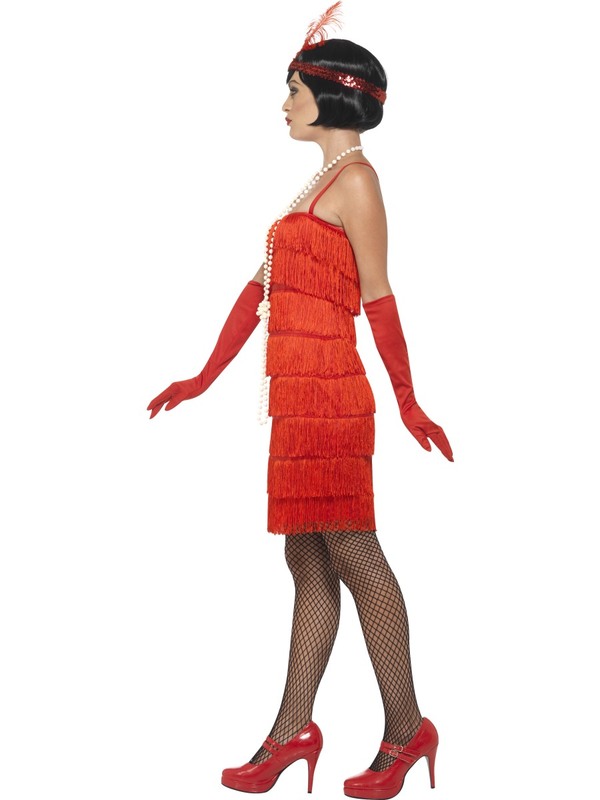 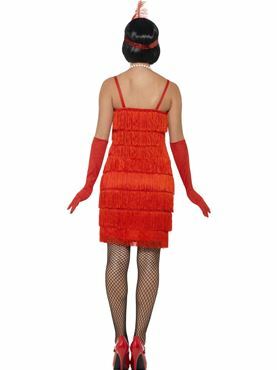 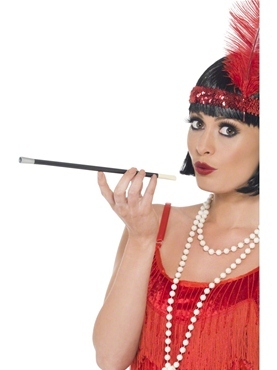 Our Adult Ladies Red Flapper Costume comes complete with the Above the Knee Length Fringed Dress and the Sequin Headpiece with the attached Feather. 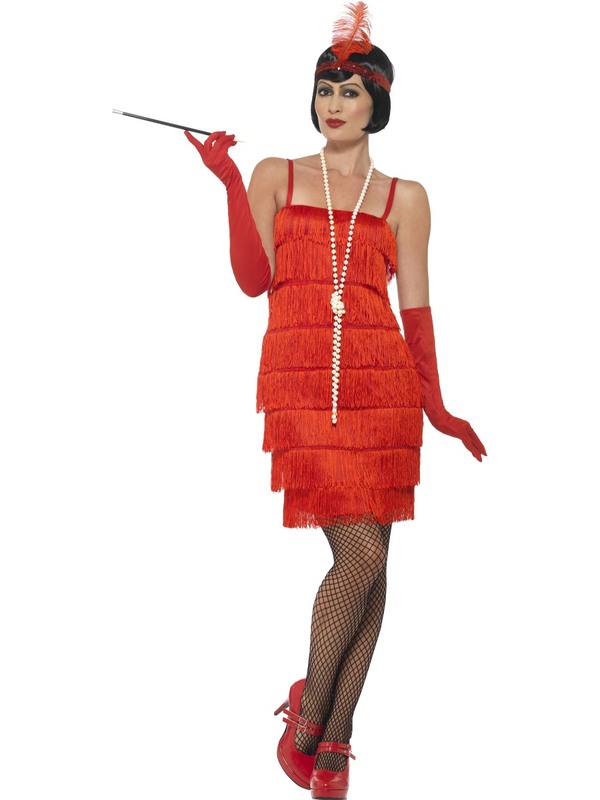 Completing the Look is the Elbow Length Matching Red Gloves. Small 8 - 10 32" - 34" 26" - 28" 34"
Medium 12 - 14 36" - 38" 30" - 32" 34"
Large 16 - 18 40" - 42" 34" - 36" 35"
Extra Large 20 - 22 44" - 46" 38" - 40" 37"
XXL 24 - 26 48" - 50" 42" - 44" 38"